I've been riding with this jacket for the last few weeks and it's been a lifesaver. If you are riding in freezing temperatures, or below, this jacket is perfect. 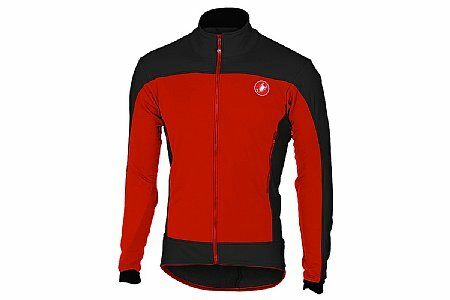 I have ridden with just a long sleeve baselayer and this jacket down to 30 degrees and have been perfectly comfortable, and down to 25 degrees with adding just a light wind-jacket over the top. The fit on this jacket is true to Castelli's standards. It is true form-fit which allows you to wear this like a jersey, and has the three large back pockets to allow you to go out all day. The water-repellent finish is a nice touch, but definitely isn't enough for anything more than road spray or a light drizzle. Though, it's not so bulky that you couldn't throw a rain coat over it to stay dry.